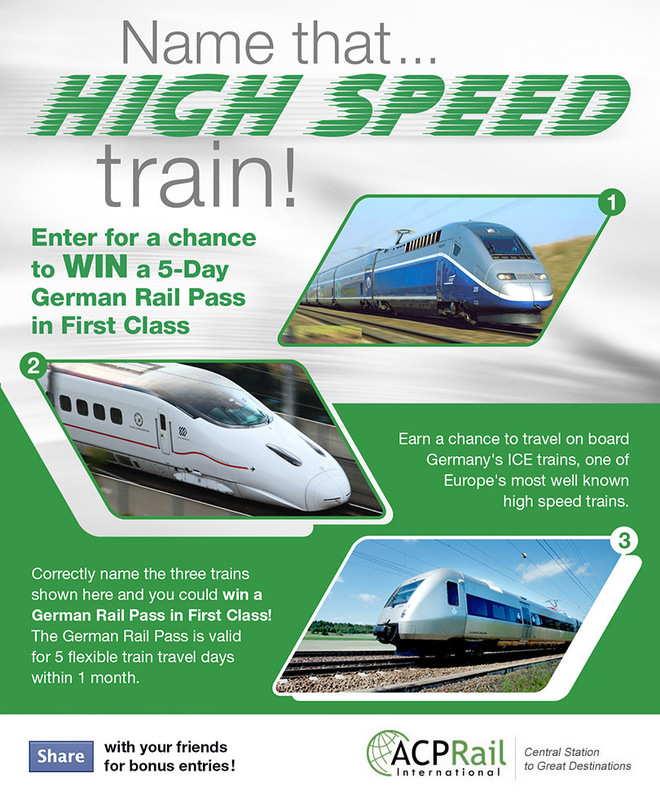 Identify the names of these high speed trains and win a 5-day German Rail Pass in First Class! Acp Rail International will be choosing 1 winner every week this month. SHARE with your friends for bonus entries! European residents and residents of Russia and Turkey will not be able to win the prize.